We’ve seen tremendous progress in global health in the past quarter century, but stubborn gaps remain. Closing these gaps – in health service coverage, quality and equity – requires new ways of thinking and working to “reach the unreached” and prevent needless maternal and child deaths. Innovating solutions is not limited to products, drugs, or diagnostics. It includes novel approaches or applications of a technology, service or intervention to help countries rapidly move toward their reproductive, maternal, newborn, child and adolescent health and development targets. MCSP supports the expansion of the evidence base for these approaches, and facilitates locally-owned and context-sensitive adaptation of lifesaving innovations. Some are “new market” innovations – ones that exist but are being tried in a new context. Others are “sustaining” – incremental innovations needed to make a larger system function better. To start, MCSP identifies priority innovations that address the areas of greatest need in a given context. Countries then contribute to the process themselves — from development and introduction of an innovation, to full scale-up. This pathway is often lengthy, but the rewards are great. Learn more about how we #innovatetoadvance below and be sure follow the conversation at #Devx2018. To scale up innovative processes or products, learning and measurement are critical throughout the pathway. See reflections from the DevelopmentXChange from innovators, mentors, partners and other attendees. Learn how we’re innovating processes and technologies to improve maternal and child health. Listen to our experts discuss innovations in the context of maternal and child health. 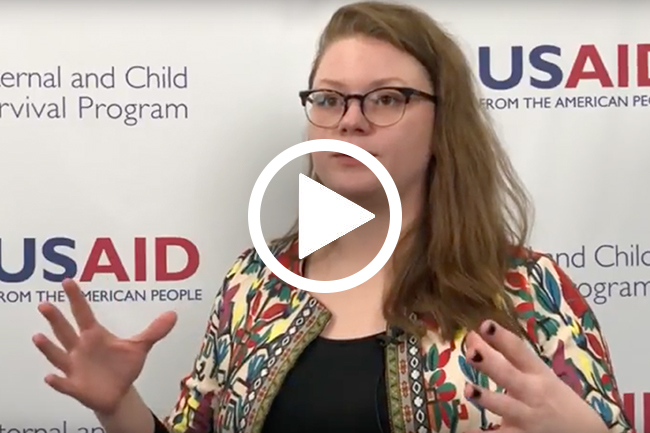 Copyright © 2018 USAID's Maternal and Child Survival Program, All rights reserved.